Qatar Elevator and Escalator Market is growing as a result of increasing construction activities, growth in commercial projects across Qatar, upcoming FIFA World Cup 2022, and government initiatives to spend billions of dollars for the establishment and expansion of stadiums, hotels, metros and airports. According to 6Wresearch, Qatar elevator and escalator market is projected to grow at a CAGR of 5.6% during 2015-21. Major boom in construction activities can be witnessed in the country post 2015, which would spur the demand for various products such as elevators and escalators in the country. Further, building of skyscrapers would fuel the market for high speed elevators in Qatar. Amongst all segments, maintenance segment dominates overall market and is expected to maintain its market positioning through the forecast period. However, new installation segment would emerge as key contributing segment in Qatar's elevator and escalator market. •	Historical data of Global Elevator and Escalator Market for the Period 2010-2014. •	Market Size & Forecast of Global Elevator and Escalator Market until 2021. •	Historical data of Qatar Elevator and Escalator Market Revenue & Volume for the Period 2010-2014. •	Market Size & Forecast of Qatar Elevator and Escalator Revenue & Volume Market until 2021. •	Historical data of Qatar Elevator Market Revenue & Volume for the Period 2010-2014. 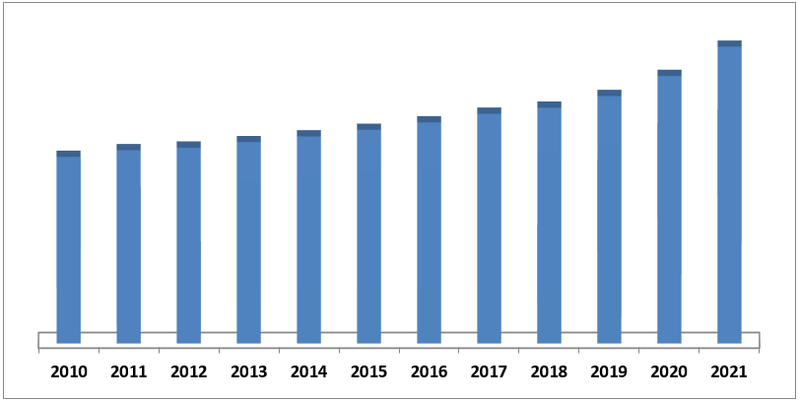 •	Market Size & Forecast of Qatar Elevator Market Revenue & Volume until 2021. •	Historical data of Qatar Escalator Market Revenue & Volume for the Period 2010-2014. •	Market Size & Forecast of Qatar Escalator Market Revenue & Volume until 2021. •	Historical data of Qatar Elevator and Escalator Application Market Revenue & Volume for the Period 2010-2014. •	Market Size & Forecast of Qatar Elevator and Escalator Application Market Revenue & Volume until 2021. •	Historical data of Qatar Elevator and Escalator Regional Market Revenue & Volume for the Period 2010-2014. •	Market Size & Forecast of Qatar Elevator and Escalator Regional Market Revenue & Volume until 2021. •	Historical data of Qatar Elevator and Escalator Service Market Revenue & Volume for the Period 2010-2014. •	Market Size & Forecast of Qatar Elevator and Escalator Service Market Revenue & Volume until 2021. 13.1	Al Doha Schindler Elevators & Escalators Co.
Table 17 List of Installation of Fujitec Co. Ltd.
Qatar Elevator and Escalator market is expected to grow on account of increasing construction market due to factors such as FIFA World Cup 2022 and Qatar National Vision. Elevators holds majority of market share in overall Qatar's elevator and escalator market over escalators in the market as a result of growing installations in commercial applications such as commercial offices, shopping malls, hotels, metros and airports. Government is spending huge amount on developing infrastructures such as Lusail city, Hamad Medical Complex, and expansion of Doha Metro, which would drive the demand for Elevator and Escalator in Qatar. In the coming years, adoption of smart and green elevators is expected to increase to offer better energy, security and cost efficiency. “Qatar Elevator and Escalator Market (2015-2021)” report estimates and forecast overall Qatar Elevator& Escalator Market by revenue & volume and by types. The report segments Elevator and Escalator market by applications such as commercial, residential, and industrial. The report also gives insights price trends, market trends, company profiles, Competitive landscape, market drivers and restraints.